The 5400 high resolution, large character inkjet printer combined with our Touch Dry® Hot Melt inks deliver superior print quality and consistency on corrugate cases, trays and wrapping films. Touch Dry® Hot Melt inks print images which dry instantly on contact with no bleeding or fading; producing 100% readable barcodes. Touch Dry® inks are solvent-free, environmentally safe, and employee friendly in formulation and handling. Al Thika Packaging is the exclusive distributor of Markem Imaje company in the Middle East. Since 1994 Al Thika Packaging has been supplying traceability equipment, marking, coding printer and consumables for food, pharmaceuticals and beverage industries in Dubai, Abu Dhabi, Sharjah, Fujairah, Ras Al Khaimah, Ajman, Umm Al Quwain, Al Ain – UAE, Saudi Arabia, Bahrain, Oman and the many other Gulf countries. Touch Dry® Hot Melt ink eliminates the need for multiple ink formulations and change-over. Stage or add ink without stopping the production line. Our solvent-less ink and auto-purge technology reduce operator maintenance. Touch Dry® Hot Melt inks print on a wide range of substrates and environmental conditions. Large drop volume at high frequency provides reliable printing at speeds up 178 m/min. Multiple dye and pigment based inks and customisable printer settings give total image control. Multiple jetting orientations; single side, opposite side, side and front, and top printing. Product configuration options include scanners, encoders, printhead slide assemblies, and stands. 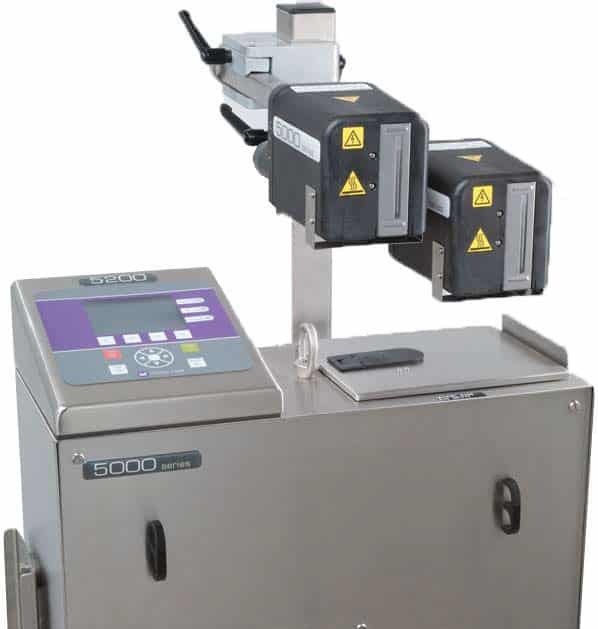 The 5400 can be integrated with production lines, databases, or ERP systems via CoLOS® Enterprise software.